It's not a mistake - the price really is that low. 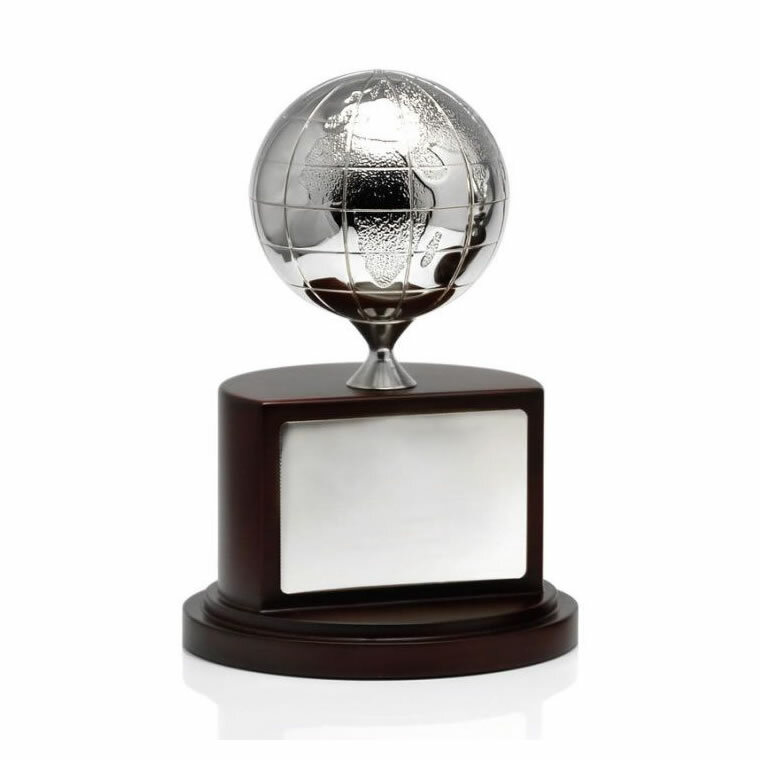 These fabulous globe awards are being offered at out-of-this-world prices. They feature a finely detailed globe with a silver plated finish set on a solid wood circular base with a silver plated engraving plaque. Reassuringly heavy to hold, these awards stand a little over 7in tall (180mm). They are suitable to present at a wide range of events and for all types of achievements.